Trumpets and cymbals and drums, oh my! This Musical Instruments Bow Tie features everything but the orchestra. 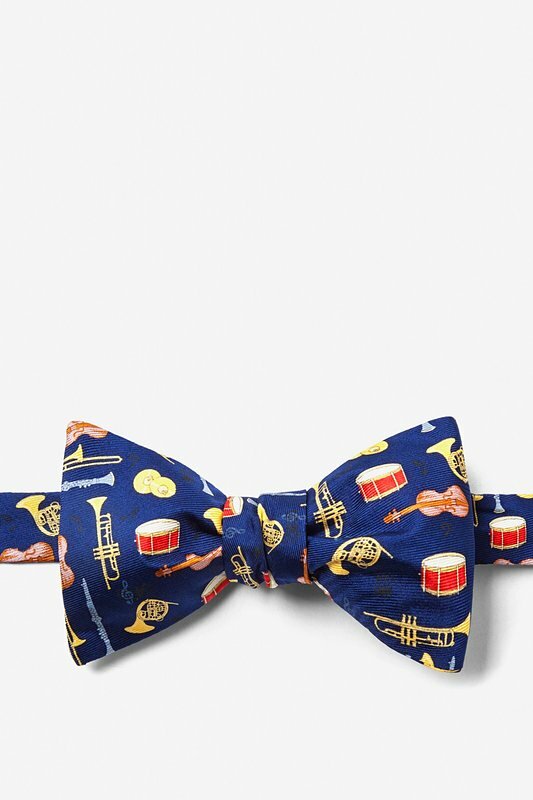 The music-filled bow tie showcases everything from woo... read more Trumpets and cymbals and drums, oh my! This Musical Instruments Bow Tie features everything but the orchestra. 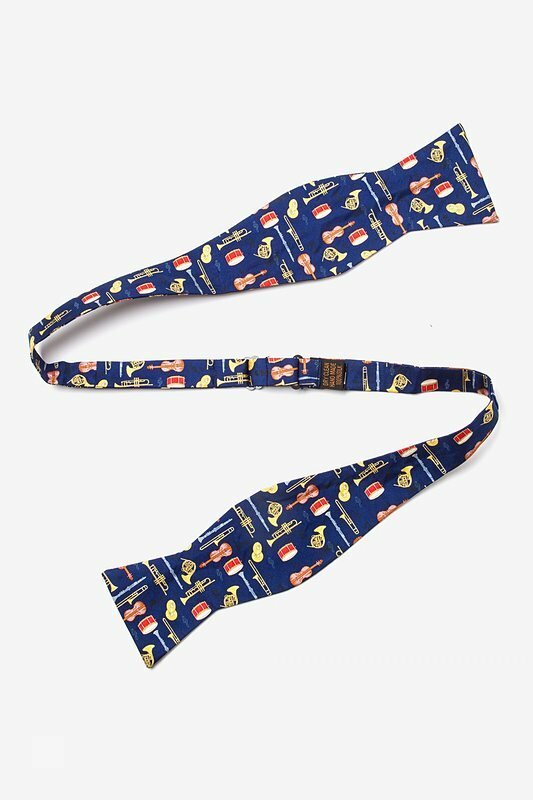 The music-filled bow tie showcases everything from woodwinds and brass to string and percussion. With dancing music notes around the background, this 100% silk bow tie will have you tapping your feet or getting ready to dance!